Custom rubber touch Oahu sunglasses – white cast appeal with their simplistic, yet trendy design. 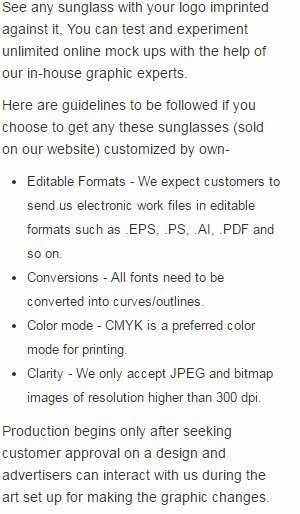 These stylish sunglasses are very popular with marketers who are trying to find apt summer promotional gifts at cheaper prices. They know everyone would be happier to receive these trendy sunglasses with UV400 protection. These rubber touch Oahu sunglasses are also available in variety of colors. Save on bulk ordering these rubber touch Oahu sunglasses –white. Free online design proof offered. Request a quote to know price cuts that you can avail for wholesale promotional rubber touch Oahu sunglasses – white.